Homeshare, Inc. started in 1987 when it became apparent that the cost for homecare, both to government and private individuals, was becoming prohibitive. In an effort to make more efficient use of resources, Homeshare, Inc. created the Homestead at Cushing, a shared living residence licensed for food and lodging. As the demand for this “housing with services” model increased, the Homestead at Owls Head was started. 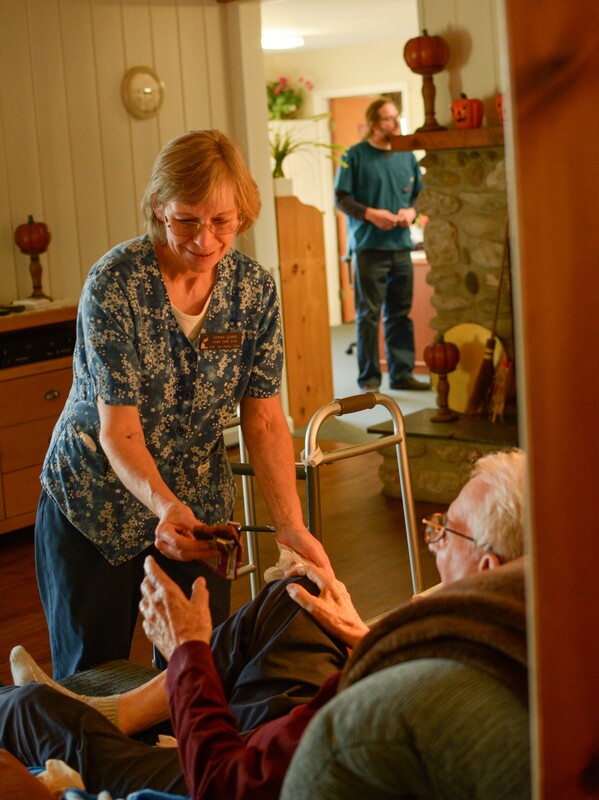 Almost twenty years later, with the same passion for excellence, the Homesteads continue to provide aging in place. Stands at the Inn, by welcome lives. For if ignored must change to pain. What has the keeper but to lose? What else to gain, uphold, to prove? May prosper, giving others rest. Seeks but a place in which to bare. Yes, there is room! Yes, there is room!